Going through the process of house repossession is undoubtedly an incredibly stressful time for everyone involved however there are ways in which you can postpone or stop your home being repossessed. 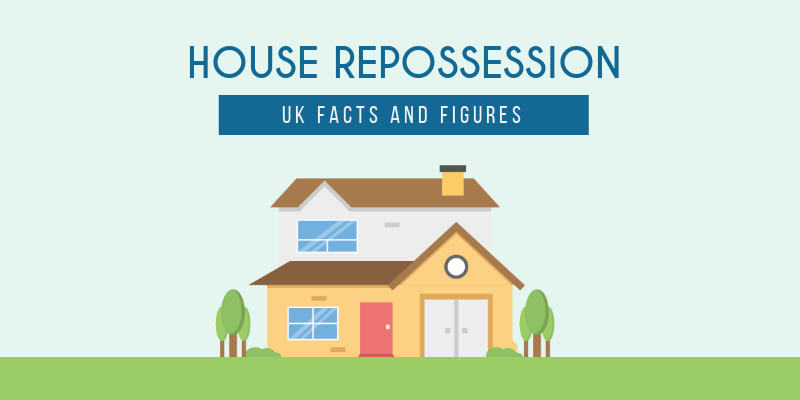 This infographic covers the typical house repossession process, why and how it can happen and how you can deal with it. There are a number of reasons as to why you may have your house repossessed, such as mortgage arrears, bankruptcy and default on secured loans. Statistics show that times of national financial crisis such as the 90’s housing crash and the 2008 recession have a direct impact on the amount of repossessions taking place. This is reflected on the graph which shows a 92% increase in repossessions between 2007 and 2008 in particular during the 2008 recession. The UK government also provide a free legal representation for repossession hearings in most major county courts which when used 50% of immediate repossession cases are prevented. If for any reason you can’t come to an agreement with your lender, then look into opting for a bridging or repossession loan from a lending agency or look into potentially selling your home before it is repossessed as you may get a better price for it.